While the promise of autonomous vehicles, IoT and smart cities is on the horizon, what hasn’t been examined is how these next generation technologies will affect the average person. Location will dictate the impact next generation technologies, like IoT and drone tech, will have on a person’s life. For example, in New York City, London and other metro hubs, autonomous trucks won’t be delivering goods, like the recent successful long-haul beer run across rural Colorado by Uber. Instead, Roei Ganzarski, CEO of BoldIQ believes delivery of Amazon purchases or restaurant orders will soon be transported from point A to B by small bots and drones alleviating traffic by minimising the number of large vehicles in a city. Meanwhile, rural areas may see some drone deliveries, but the majority will be made by autonomous trucks hauling goods long distance. In an interview with Information Age, Ganzarski – a former executive at Boeing – discussed the future of connectivity and delivery. How will location impact how consumers experience IoT technologies of the future, including autonomous vehicles, drones and bots? 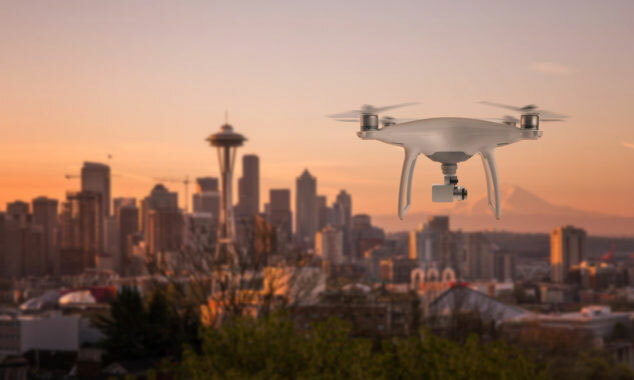 Drones, driverless delivery vans and other future technologies have the potential to make a great impact on our day to day lives – from less congestion on the roads to 24×7 real-time deliveries. With that said, these new technologies (that have not yet been completely proven out) have some obvious inherent risks and some that are also less obvious. Before they become commonplace, live operational testing is expected to have to take place. From a completely different direction, delivery drones and driverless vans (as examples) can create great efficiencies and bring a level a service that may be missing in various areas. For example, it may not make economic or practical sense to send a driver with a car on a two-hour drive to deliver a package in a rural community. The four-hour time frame will erode half a work day for a single package. But what if there was no driver whose shift was a limiting factor for this delivery? Taking both these points into account, rural areas are more likely to see these new technologies being implemented and tested first. I myself live in a more rural area. There are less cars on the roads, less houses in a given area, and no buildings or high rises. That means it should be an easier and less risky environment to trial drone deliveries, for example. When first trying drone deliveries, would we rather have the drone flying over a dense neighbourhood, with playgrounds and schools underneath, or in an area with farmland and open space? Take the recent news about Amazon’s patent application regarding parachuting a package down to a receiver. Seems it would be more appropriate to try in areas of five acre homesteads than a town-home community. Similarly, with much less traffic and less cars on the road, the implementation of driverless technology is simpler and less risky in rural areas than congested cities. Rural areas also reduce the various obstacles a drone or driverless car might face like buildings and narrow alleyways. On the complete other spectrum, small delivery bots will most likely be seen in those very congested cities for the exact same reasons. How will this impact business and consumers’ day-to-day lives? Assuming the above holds true, businesses will be able to provide efficient lower cost on-demand rapid service, even in rural areas and with less restrictions of employee shifts. In turn, consumers in those areas will be able to get an increased level of service that has become commonplace in urban surroundings. They may then find themselves buying more, simply because they can which increases business, etc. In the urban areas, bots will enable even more rapid deliveries and better predictability since the delaying elements of traffic and parking will be eliminated. What are some recent examples where we’re starting to see the infrastructure in place for these next gen technologies? I don’t think there are enough examples to share since the focus right now is still very much on getting the individual technologies to work. For example, working on an individual driverless car or individual drone. There is still some work to be done on making sure the technology works well and safely before deploying it in real mass use cases. With that said, there are some interesting first movers like the passenger drone coming up in Dubai and the delivery bots in Redwood City, CA and Washington, DC. From the technology perspective, what is the most exciting aspect about smart cities coming to fruition? For me the Dubai drone transport is really exciting. It opens the door to levels of service and efficiency never seen before. Roei Ganzarski, the CEO of BoldIQ, a transportation logistics software startup firm based in the Seattle area, says that whether you agree with Donald Trump’s politics or not, on the issue of ATC privatization the president is 100 percent right. Privatizing air traffic control would lower costs, boost efficiency and usher in new technologies that are impossible to implement quickly under the current NextGen ATC modernization program managed by the FAA, he argues. His message for general aviation? It’s time to stop fighting to block privatization and focus instead on ensuring this segment of the industry has a place at the table. BoldIQ creates software solutions for aviation and ground-transportation companies. One of its major customers is Boeing-owned Jeppesen, which uses BoldIQ’s cloud-based scheduling software. Ganzarski himself is no stranger to Boeing, having served as chief customer officer for the plane maker’s Flight Services division in Seattle. At a White House meeting with airline CEOs last week, Trump described NextGen technology rolled out by the FAA as the “wrong stuff” and signaled his enthusiasm for privatizing ATC. The president’s comments drew a rare response from the agency, which pointed to $2.7 billion in benefits to the airlines and passengers thanks to NextGen modernization, and an expected benefit of another $160 billion through 2030. GA interests led by the National Business Aviation Association are opposed to ATC privatization, arguing that the corporate entity’s board of directors would be dominated by the airlines and the move inevitably would lead to the implementation of user fees for general aviation. “It appears that some airline interests want to shift the conversation away from taking a bipartisan approach to modernization, to focus instead on their decades-long objective of privatizing ATC, funding it with new user fees, and placing it under the governing control of a self-interested, airline-centric board of directors,” said NBAA President Ed Bolen after the president’s sit-down meeting with airline CEOs. King5’s Glenn Farley talks to BoldIQ as part of a news story about how airlines deal with disruptions at times of uncertainty like after the immigration related executive order.